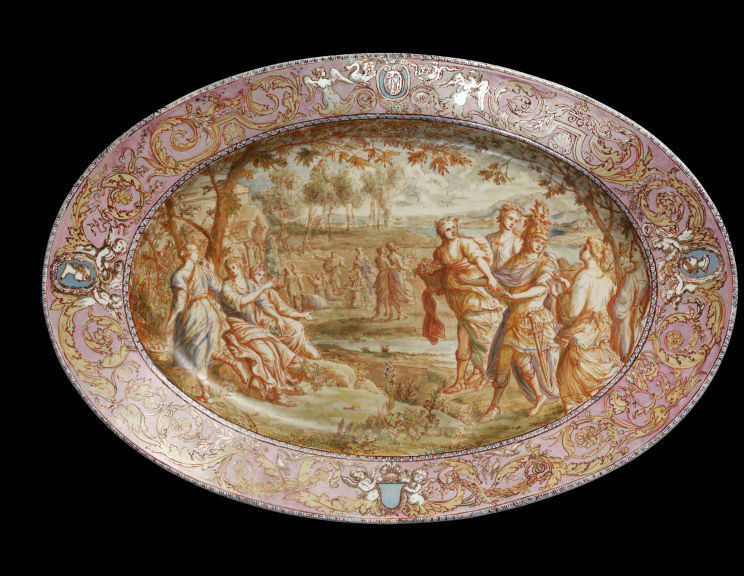 Devers designed both decorative wares and architectural ceramics, such as for the churches of La Trinité and St-Amboise, with panels made at the specialist tileworks of Maison Pichenot-Loebnitz. 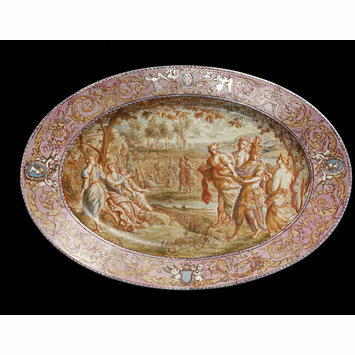 Throughout his career, his classical training underpinned his designs and he was much influenced by the faience of the 15th century Della Robbia family of Florence. He was especially attracted to the rich background colours of blue or gold and frequently used motifs associated with Italian or French Renaissance ornament. 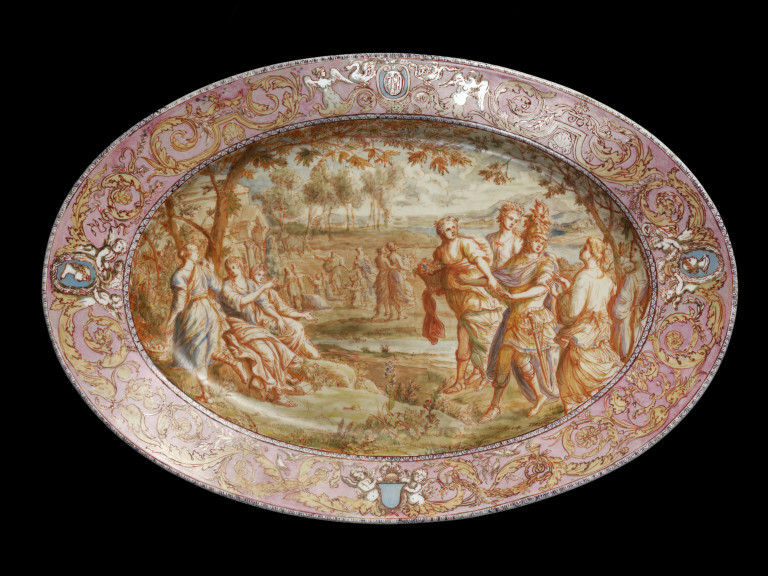 Dish, painted in reds and pinks with a mythological subject in the centre, the rim with scrolls and grotesques.